Modern workplaces struggle to attract and retain top talent. We all know this, and if you look around today it’s easy to see that workers are demanding more alignment of values in their workplace. The competition for the best-of-the-best, coupled with a growing pool of opportunities, has companies spinning to look for new and exciting ways to connect with their workers. Globally, engagement rates amongst employees is an average 15%, and it will come as no surprise that people look for more than just a ‘job’ in their employer. I’ve worked in the non-profit sector for the bulk of my career, and when transitioning into the tech sector, it was incredibly important for me to preserve the values associated with giving back. An important deciding factor for me in selecting Achievers as my next employer was primarily based on the organization’s culture. At Achievers, employees are provided an amazing opportunity to engage with organizations meaningful to them. We are provided four volunteer days per year to help an organization of our choice. The importance of giving back might not be specifically measurable, but the tangible nature of enabling employees to help their community is something that no doubt impacts staff retention. Many modern workplaces have evolved to include Corporate Social Responsibility (CSR) efforts, but not all are effectively executed. Companies need to do more than convince their workforce that what they are doing is sufficient. 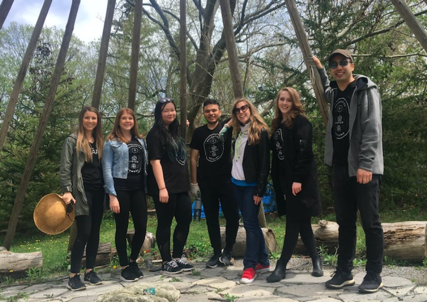 CSR is often employer-mandated ‘giving back’, but there are a few things that businesses can consider to ensure employees feel empowered to give back to their communities. This event has run for four consecutive years and encourages employees to prepare a dish or purchase a ticket to taste staff-prepared dishes; staff is selected by employees through a voting process. We also invite local chefs to help judge employee dishes (past judges include: Rosa from Caffino in Liberty Village and Markus), in the categories of appetizer, main and dessert. The chef who is crowned winner for the event selects the local charity they would like to donate all event proceeds to. This is a fun way for employees to showcase their culinary skills and taste delicious selections from the diverse backgrounds of our team members. 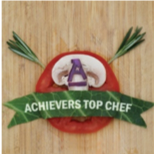 Each June we host this event, which is an Achievers favorite and one that encourages everyone to get involved – and it just happens to have a tasty meal! Top Chef’s goal is to raise funds for local charity and showcase the culinary skills of our employees. 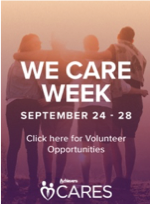 Each fall, we launch our Achievers We Care Week. During Achievers Care Week, we have an array of activities for employees to get involved with local charities. We make things fun, keep it relevant and end off the week with a fun social event for all staff – to thank them for their participation. This year, from September 24-28, we are volunteering at CAMH, Parkdale Foodbank, Scott Mission and raising some needed funds for Save Our Scruff. Together, we are making an impact on our community, and we are proud of the initiatives we are lucky to support. March Madness is a popular time for sport enthusiasts, so we decided to capitalize on this and offer an opportunity for our employees (local and remote) to compete with one another. Using the existing NCAA college basketball pool, employees who want to participate are required to purchase a ticket and select the teams they think will be victorious. 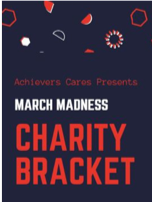 At the end of the tournament, the individual who has selected the most correct winners, will be awarded the opportunity to choose a local charitable beneficiary for half of the funds pooled, and the other half goes to the employee! Coupled with a March Food drive, this initiative ran for the first time in 2018 and was a huge hit amongst our staff. This is a great addition to our initiatives because it includes remote employees, which is a typical struggle companies face. If you are reading this and don’t currently have a clearly defined CSR plan, don’t wait and get started today! It’s never too late to show your employees that you care about what they care about and are willing to invest in your community. Thank you for all that you do and thank you to Achievers’ employees for caring so deeply about our communities and bettering the world around us. Learn more by viewing the Achievers CARES photo album. 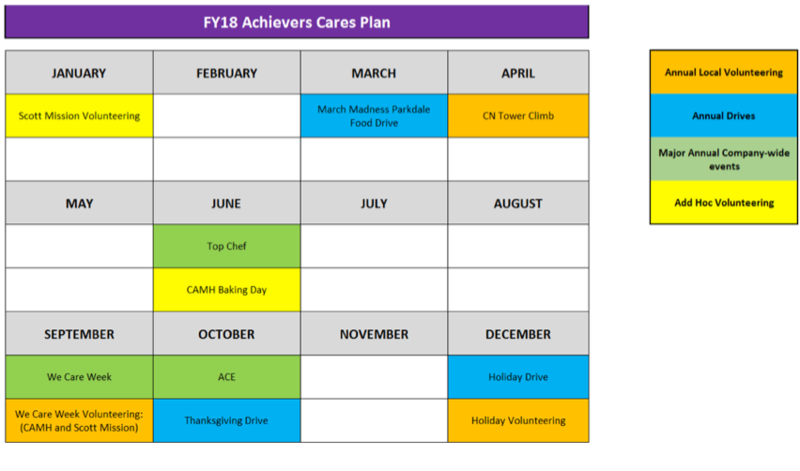 Do you want to join the A-Team and be a part of Achievers CARES? Apply for one of our open positions here. Meaghen Frame is an Operations Manager (Professional Services) at Achievers. You can find her on Twitter @meaghenframe.